We love backing visionary founders targeting large, global markets and changing the way people live, interact and buy and we’re very happy to have discovered Lisa Gautier and her socially conscious digital platform – The Pasta Haters – connecting vintage shops with vintage fashion lovers and to welcome them as the most fashionable new addition to the Seedcamp portfolio. 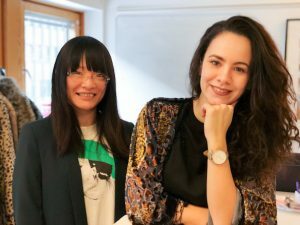 We are thrilled to lead the $250k pre-seed round into the Stockholm-based brand alongside Wave Ventures, STING and The Nordic Web Ventures and see huge global potential for the business targeting the second-hand fashion market that is expected to soon overtake ‘fast-fashion’ according to a report from US-based ThredUP. Since launch in 2017, TPH has attracted more than 10k customers to the site in hunt of unique pieces unavailable anywhere else. TPH has been gaining traction not just among fashion-loving customers but among stores too with coverage from leading vintage stores and with much-loved retailers in France, the US and Japan all available via the site. TPH.co is currently expanding the team and welcoming experts in operations & marketing. The funding will predominantly be used to establish TPH.co as the premier destination for vintage shopping online.